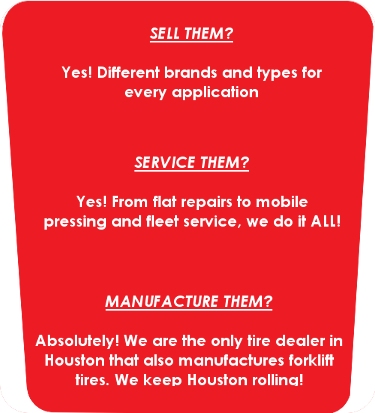 Need Forklift Tires in Houston, TX? Click Here! Roadrunner Rubber is on the radio! 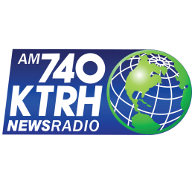 Listen to Houston’s Michael Berry talk about us during the Michael Berry Show and hear our new commercial on 740 KTRH! 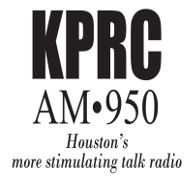 Also hear us during Walton & Johnson on 950 KPRC! 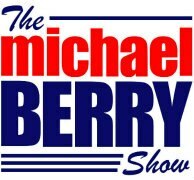 And, be sure to ask us about the “Michael Berry Special”! 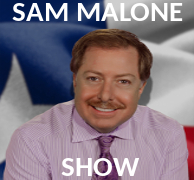 Listen to Houston’s Sam Malone talk about us during the Sam Malone Show and hear our commercial on AM 1070: The Answer! View Our Exclusive Web-Only Commercial! 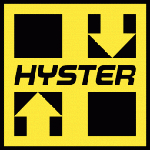 Roadrunner Rubber is the only industrial tire company in Houston that manufactures forklift tires. We have more products, more variety, more knowledge, and better customer service than anyone around!